There are the agents that fall over at the first objection (and there are many, even though they tell us they’re tenacious!) We keep beating our heads against stone walls recruiting agents who are deficient in the two skill sets we say are most important to real state success: technical (computer) skills and sales skills. We hire them, and then we pour thousands of dollars down a black hole trying to train them to do the things they wona��t or cana��t do. Well, ita��s not really an interview process to most managers. Ita��s actually a talk marathon, where the manager talks to the would-be agent until the agent gets tired and agrees (or not) to join the company. Thata��s what dozens of agents have described as their a�?recruiting interviewsa��. Your first hour of the recruiting interview should be contoured like this: The interviewee talks A? of the time. You talk A?. What are you doing while the interviewee is talking? Asking questions and listening. What are you listening for? Whether or not that interviewee has the necessary amounts of the skills and qualities you want. How do you assure youa��ve got the complete story? Probe around that one idea until youa��re completely assured that the interviewee has sufficient strength of that trait or skill.A� The CompleteA�Recruiter has lots of tips on mastering sales skills for recruiting. This is just one of them. Thata��s simply because the manager didna��t ask good questions at the beginning of the process. If he had, he woulda��ve discovered what needs the agent wanted met. Then, he woulda��ve designed his presentation to meet those needs. About three years ago I was the head writer for the CRB (Certified Real Estate Broker) People Management course. This course includes recruiting, selecting, training, and motivating agents for high productivity. I was excited to teach the course the first time, and was thrilled that there were about sixty managers in the course. I found that most of them had been in the business over ten years. I wanted to create something where they could share recruiting experiences and a�?winsa��, so I decided to do a little contest for a�?best recruiting campaign.a�� I introduced the contest the first morning, and waited for the entries. There were none. At the beginning of the second day I asked the students if it was a dumb contest, or what seemed to be the barriers. They told me that none of them had a recruiting plan, much less a campaign!A� How could you implement your recruiting a�?movesa�� without a plan of action? We pound into our agents heads the idea of business plans. Yet, we dona��t have plans for the most important of all our activitiesa��recruiting. If youa��re among the 95% of managers who dona��t have a plan, Ia��ve provided a simple, straightforward method of planning in The Complete Recruiter. Youa��ve interviewed the agent. The agent doesna��t join that day. Now, what happens? In most companiesa��nothing! You need a contact management system. You need a contact plan. You need materials, and you need strategy. Finally, you need someone to run that plan. Hire a competent assistant and let that assistant engage your plan. This agent follow-up is really a part of your overall recruiting plan. You expect your agents to do it, and you need to do this, too, with your potential recruits. Remember, follow up until they a�?buy or diea��! It doesna��t take a masterful recruiter to win all the awards. All it really takes is determination and persistence. And, when you look at the few managers who actively recruit, you know that merely taking a stab at inA� a consistent manner will win you many recruits.A� Start now! Do Your Agents Have what Buyers Want? Do your agents have what buyers value? Do you know what buyers value? 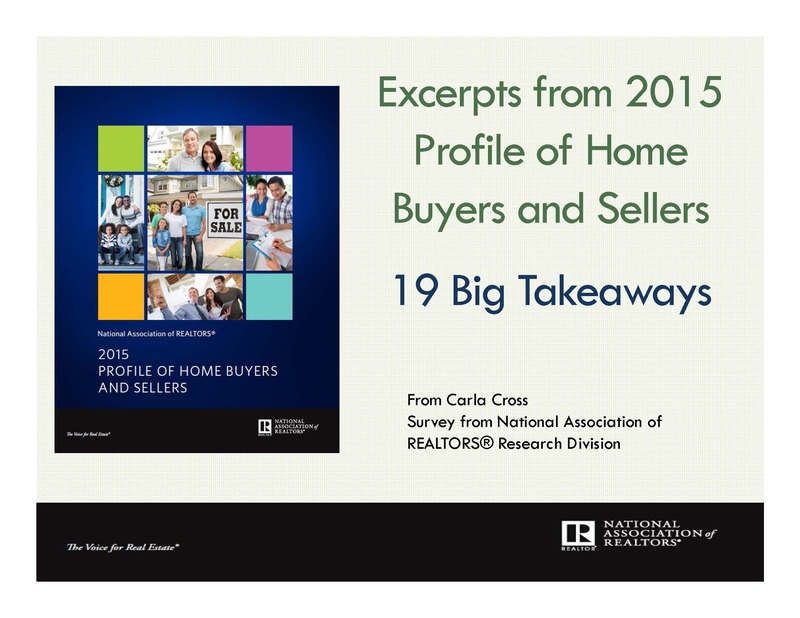 Every other year, the National Association of Realtors does a survey of thousands of buyers and sellers to find out their demographics and their opinions on real estate agents. These surveys, I think, are well worth the cost of Realtor membership! Why? Because they give us valuable insights into what buyers and sellers think is important, and they give us third party facts to share with buyers and sellers. I have used the results in these surveys in my listing and buyer resources, so that agents have proof of the claims they say are true. In the next few blogs, I’ll be sharing with you a few of the invaluable nuggets of information from the National Association of Realtors’ 2015 Survey of Buyers and Sellers. Watch for the videos: In the next week, I’ll be making 2 videos explaining 19 big takeaways from this survey. I’ll post the video AND the PDFs of the videos so you can share them with buyers and sellers. A�I’ll show you how to use these statistics and facts in your presentations and help your agents be more effective. 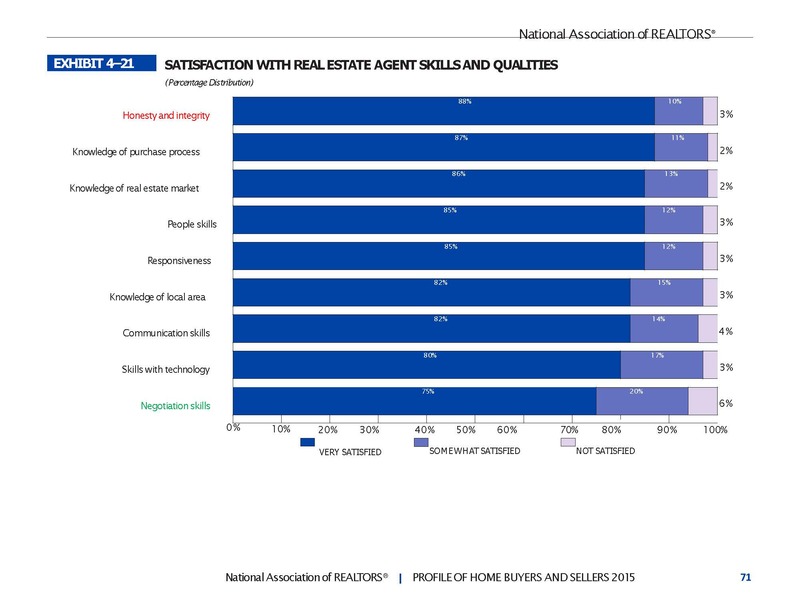 How satisfied do you think buyers are in specific agent skills and qualities? Highest valued by buyers was honesty and integrity. That’s good news for newer agents, because honesty and integrity has nothing to do with time in the business and everything to do with your ethics and character. What do you think buyers were most dis-satisfied with? Negotiation skills! Why? It could be because agents promised more than they delivered. Or, it could be that they just aren’t very good at negotiating. How practiced are you? Have you taken negotiation courses? Do you have a goal to increase your negotiation skills? 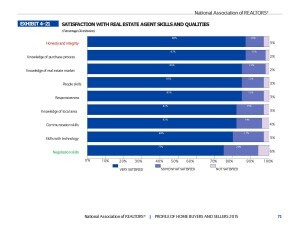 How can agents (and managers) prove theyA�have the skills and qualities buyers want? You Can’t Brag But You Need to Stand Out–How? Misunderstanding how to make yourself stand out can cost you thousands of dollars. 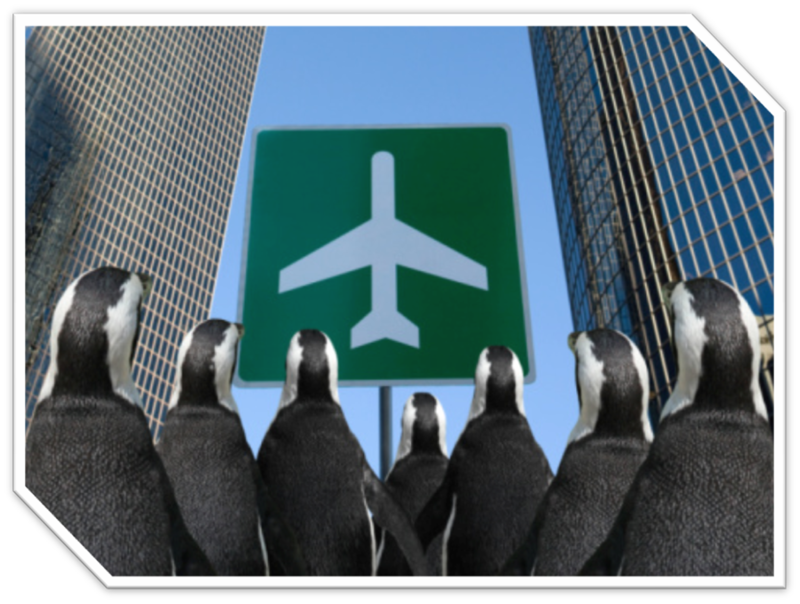 You know you need to differentiate yourself from the ‘pack’, but how and when? What NOT to do: Never, ever try to put your testimonials, statements, or accomplishments within your presentation. It’s too late, and will just get in your way–and come off as bragging. Instead, follow the instructions in Marketing YOU. Share your talents and skills with potential buyers and sellers in the right way. See more here. Managers: Order this month, and you’ll receive your own instructions on creating your ‘Book of Greatness’ for recruiting. 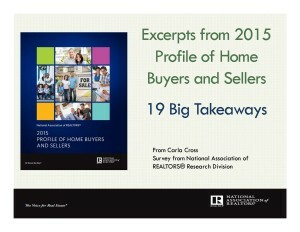 Carla interprets the NAR survey for 2015 on buyers and sellers. See what sellers are looking for. Educate sellers with these facts. Grab the PDF of the presentation too. Click here to get it. This month, I’m focusing on recruiting and selecting. And, I have some blazing ‘deals’ on my recruiting resources to help you get a great plan and implement it right away! Isna��t it amazing the number of things a new manager is supposed to be able to doa��from day onea��even though he or she isna��t trained to do those tasks? Take recruiting, for example.A� As a new manager, I was expected to prospect, get appointments, ask great questions, and select agents who would be successful. But, did I have the skills to perform those tasks with competence? You can bet not! Even though I was a top-producing agent, I didna��t take the time to think through, and didna��t know how to, apply the sales skills I had used to attain high sales volume to the recruiting tasks at hand. So, I, like thousands of other new managers, just did it a�?by eara��. Along the way, I had some a�?winsa�� and lots of a�?lossesa��. Through my observations of myself and others, Ia��ve created a list of ten top mistakes, so that you can avoid the pitfalls Ia��and others without traininga��have fallen into. It should occur to us that we need to sit in a quiet place and think about the kind of people we want to hirea��before we dive in. But, we are so thrilled that someone is in front of us that it doesna��t occur to us that they bring with them their values and ethics. So, if we havena��t thought out our values, our beliefs, and our perspectives first, we run the risk of hiring people who will then dictate what the company values become. Before you start interviewing, decide what you will and what you wona��t stand for. Write out your values and your beliefs. Then, when you interview, check to be sure that agent carries those same values and beliefs into your office. Someonea��s got to be the leader, and it better be you! a.A� Does the company have values and beliefs that the agent can live bya��and agree with? If you are still trying to recruit to an old-style dictatorship, or, if youa��ve given up leadershipa��get a clue. Find out what participative management is all about. Find out how to build a team. Figure out how to help each agent reach his/her goals. Now, youa��re on the right track. Re-tool your business structure so youa��re attractive to the entrepreneur of today and tomorrow. a�?Our company is the largest around.a�? Well, guess what? 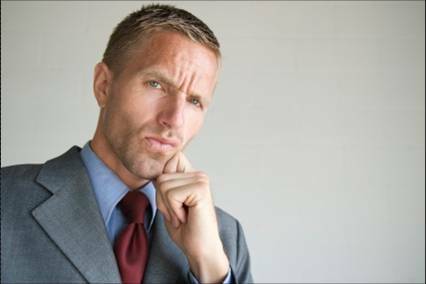 If youa��re a branch manager, and all your branch managers say the same thing, youa��re not going to differentiate yourself that way! You must make yourself a magnet. What about your background provides a benefit to a new agent? To an experienced agent? For example, I was a musical performer and teacher. That taught me performance skills, and how to teach others performance skills. You can see the benefits to agents. Ia��m able to help an agent reach his goals through greater skills. a�?We have a great training program.a�? So says every company out there. Whata��s so great about your program? Youa��d better be able to tell a�?em and show a�?em. a�?Our training program has a 90% rate in our agents making a sale in the first thirty days theya��re with us.a�? No one else in the area has success figures like that. Herea��s the brochure about our program. It spells out the comprehensive five-step program for new agents. 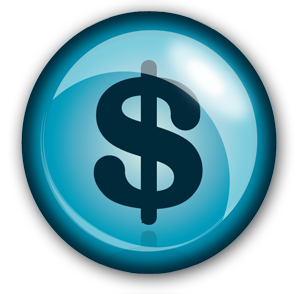 Do you want a program that assures you make money fast?a�? We in the real estate industry just love to hire agents through the bidding wars. We either provide a lower desk fee, better commission splits, or more trinkets and trash. Guess what? Thata��s the chickena��s way out. In reality, price is never the best recruiter. But, if you dona��t have a great company organization, if you dona��t help agents meet their goals, youa��re going to have to compete on price. Ita��s all youa��ve got. Now, work hard to provide real value. After all, consumers pay 10% more for products and services they believe are of quality. So far, what have I left out? Howa��s your recruiting strategy? Have a complete system? Here it is, half pricea��A�at $120 off this month. Purchase The Complete Recruiter AND get Your Blueprint for Selecting Winnersa��a unique step-by-step interview processa��PLUS Recruiting Objection Bustersa��for $120 off (Regularly $250 now $129.95 ONLY this month). This is the cost of just The Complete Recruiter! The Complete Recruiter provides you the scripts and dialogues you need, the recruiting planner you dona��t have (! ), and dozens of tips to recruit the winners you want. 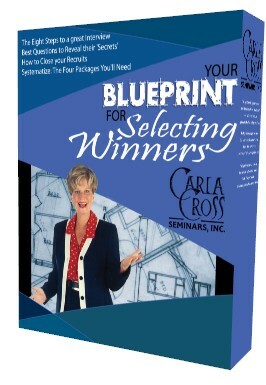 Your Blueprint for Selecting Winners gives you an 11-step interview process to assure you interview those you wanta��without unpleasant surprises.A� Recruiting Objection Busters shows you scripts and dialogues to counter any recruiting objection with grace, logic, and attractiveness. You hired them. Now what? Too many managers wait to get their agents into action until after training school. But, do you want them sitting around for weeks or months? Use a preliminary start-up plan that has the same priorities as the business plan youa��re going to teach and coach them to during their training period. (You are going to start them with a proven start-up plan, arena��t you? And, youa��re going to coach them into doing that plan until it becomes habit, 30-90 days, arena��t you?) Why use a preliminary plan that has the same priorities as your chosen business start-up plan? So the agent doesna��t get conflicting priorities. And, remember, in the face of conflict, we all take the easiest way out. Thata��s not good for fast income! Your job as a manager/trainer is to createa��or choosea��a preliminary plan, a start-up plan, and a training program that all present the agenta��s job description in the same manner with the same prioritiesa��so your agent has a clear roadmap on how to succeed every day. Doing so assures you have to hire less new agents to meet your recruiting goals, youa��ll have more success that you can promote to recruit, and more real dollars will flow to your bottom linesa��and theirs! You Don’t Have to Wait for Training School! 60% of new agents expect a sale within 2 months (that’s according to my survey of hundreds of new agents). How are they going to reach those expectations if they aren’t out lead generating in their first week in the business? Why not use the proven start-up plan that gives them the what, the how, the how much, the why–and the motivation. Up and Running in Real Estate is all online, and ready for your agent to start anytime. Check it out. Selection: If You’re a Great Talker–You’re Cooked! You’re a manager who recruits. You want to get winners in that recruiting seat. You pride yourself on being a great talker. (A manager once told me he just talks them to death–until they say they’ll join the company–what a great screening method-not!) A�But, too much talking is just old-style hard ‘selling’–and that’s certainly not the bulk of an effective selection process. The recruitA�says, a�?I want a a�?deala��.a�? Do you jump to a conclusion because you know what a�?deala�� means? Dona��t. You may be surprised. Instead, ask questions at what a�?deala�� means to that recruit. 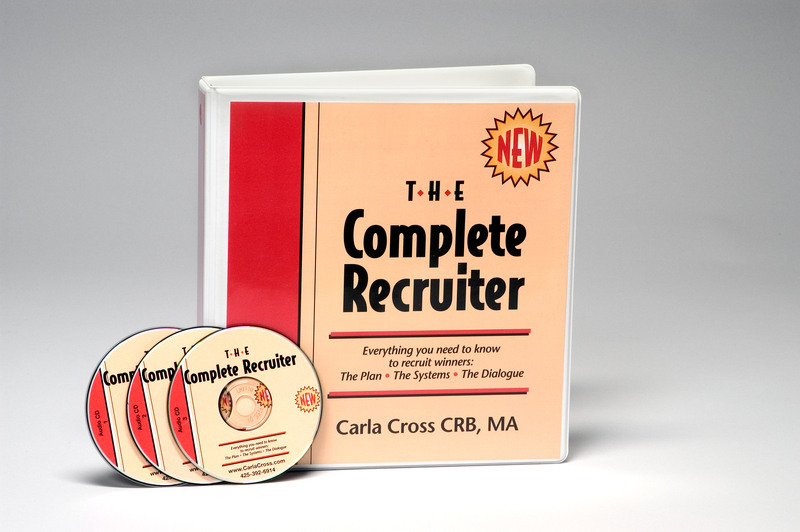 When you know exactly what the recruit means, you can proceed to find what theA�really wants–instead of what someone else told him he should ask for! Ask these questions before you spend time and money chasing candidates who dona��t meet your standards.A� Click hereA�to get the complete process. **Ever heard the term a�?buyers are liarsa��? I think thata��s not really the case. I think that we dona��t ask the right questions to help buyers (our recruits)A�clarify what they really want. Most a�?buyersa�� of services dona��t know what they really want. They think they want a better commission split. But, what theya��re really looking for is the motivation provided by secrity. That means different things to different people.A�Find outA�what’s really motivating your candidate, not just what he says to your basic questions. Finding the motivators of your a�?buyersa�� is key to helping them make the right buying decisions for themselves. All you have to do to a�?closea�� is to remind them that this a�?producta�� fulfills their needs. And, how do you get there? By creating and using the right questions in the right order. Dona��t forget to grab your pre-screening process:A� click here. Are you hiring right for the future–or are you still hiring with the principles of the past? According to the latest surveys, the client is not happy! We all know the client is more educated, more informed, and more demanding. We also know the client takes much longer to make a buying decision (from first Internet looks to decision take 9-28 months, according to industry leaders). 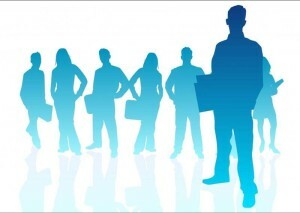 Your hires: Must be more dedicated and more tenacious to succeed. I know you think mostly of whether they can sell a house for you. But, are they good enough to make the client happy? Because that’s what your referral and return business depends on….. Your hires: Want an inclusive atmosphere. That means more openness, independence, and diversity. 3. Hire to an interview process focused on the candidate. The old a�?hard sella�� isna��t attractive to the hire of today and tomorrow. So, drop the 2-hour sales job and, instead, focus on getting to know the candidate. Your hires: Get to really know each one in a well-crafted, question-focused interview process. 4. Hire as though you were actually excited to develop that individual. The consumer is not impressed with the a�?fog the mirrora�� hiring method. 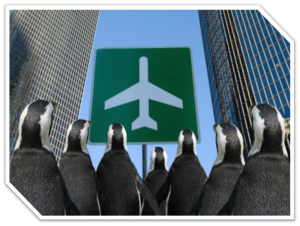 The right turn is to be a�?solda�� enough on each new hire to help her create the skills and the career she wants. That means to focus on coaching and small group accountability training. Your hires: Must want to, and be capable of, developing a career with your coaching and facilitation. Your clients expect that much. So, how does your interview process stack up? What do you want to change to hire for the future? Do You Have an Interview Process–or a Hot Mess? Most of hire ‘by ear’, and worry about the rest later. If you don’t have a planned interview process, you’ll be beaten by the person who does. Here’s a unique resource to help you organize, plan, and implement a spectacular interview process to hire those you really want. Check it out here. All online, so you can apply it today, too. This month, I’m featuring the lifeblood of real estate management–hiring and firing. Yes, firing! Do you have a foolproof way to figure out who to keep and who to cut loose? In this blog, I’ll show you. Who adds value to your environment? Hiring and firing is not a ‘black or white’ issue. There are many shades of gray. I know. I managed almost two decades. We become friends with our agents. They rely on us. We rely on them. In some cases, we become almost moms and dads to them. It becomes a very dependent environment. No one wants to disrupt it. However, you are running a business–not a social welfare state. What are yours? Write them down.A� (Use 4-6 values). Now, give each one of these values a possible rating of 0 to 4 (4 being highest). Finally, evaluate each of your agents with each of your important values.A� For example, let’s say you are evaluating your top producer. In the production value, that producer would get a “4”. But, let’s say that top producer isn’t much of a team player, and you’ve evaluated her as a “1”. When you’re through evaluating that agent, add all the numbers to get a cumulative number. Click here to see an example of an evaluative table. What’s Your Agent’s Real Value to Your Office? Now, you have evaluated each agent on all the values you feel are important to the success of your company. To see how they stack up, make a list of them, starting with the agent who scored the highest cumulative number. This evaluation process will give you a very different picture of who your best producers are-and who your worst office associates are. Can an agent be a noteworthy negative to your reaching your goals? Can an agent actually provide substantial energy against your culture? What’s Joe’s value to you? Can this value be quantified in a business sense? What are you getting personally out of keeping Joe? What are your next actions? Why are you avoiding what you need to do? Don’t you deserve more than Joe is giving you? How does Joe feel now? Does Joe deserve an environment where he can win? What do you use to evaluate your agents? How is it working for you? So You Think You Can’t Fire Joe–Here’s Why You Have To! This month, I’m featuring the lifeblood of a real estate office–hiring AND firing. No one wants to talk about it, but, the passive-aggressive method of just letting them die isn’t leadership–it’s cowardice! Instead, we need to develop a fair method of letting those go who need to go. What’s the matter with just keeping Joe? Nothing, if you don’t care about your bottom line. Brokers tell me that a poor hire or a non-productive agent costs them nothing. Unfortunately, that’s far from the case. In this article, we’ll just beat up poor Joe. 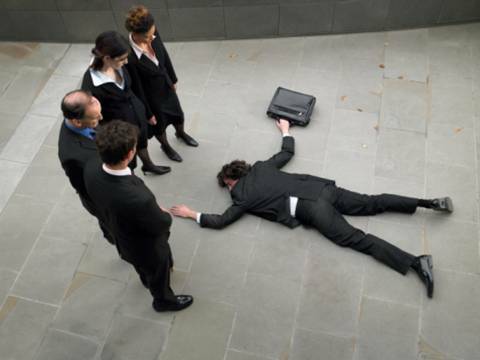 In the next article, we’ll address the new agent – poor hire. Joe is a walking billboard for failure-an effective marketing strategy that communicates your office’s failure to make him successful, and your failure to making him successful. Joe’s “billboard” publicizes the outcomes from your recruiting, training, and coaching. Here they are. Recruiting. You find it hard to recruit. See, likes attract. People see that Joe (or lots of Joes) are in your office. Agents do search the MLS to find out what the sales statistics are in offices. (Why would they go to an office that has low production?) Maybe you’re like me, taking over a real estate office where it was known in the area, literally, as “the place you went if you didn’t want to work.” Boy, what a great recruiting endorsement!A� If so, you know that it’s a terrific uphill battle to recruit good people into a bad office. (Hint: You must get rid of the bad people first, then build on a new foundation. You can’t fool those agents!). 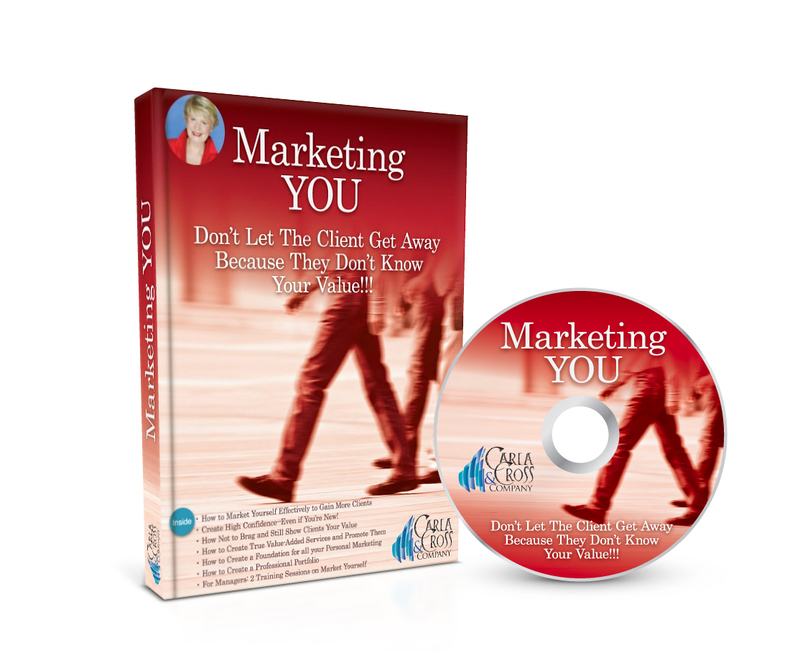 Youa��re finding it hard to get agents to attend your training classes. Why? What percent of “Joe’s” do you have in your office right now? Carla’s rule: If you have over 10% seasoned non-producers, you aren’t leading. They are. In my next blog, I’ll show you a different way of evaluating your agents. It will give you a method you can trust to figure out who to keep and who to put the ‘happy trails’ record on for…..
Are you Unsure of Who to Hire and Who to Fire? 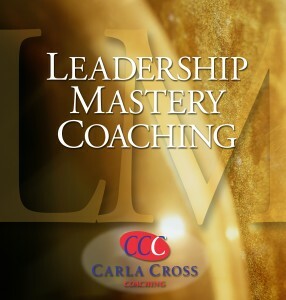 Why not see if Leadership Mastery Coaching can help you gain the skills and judgments to make great personnel decisions? 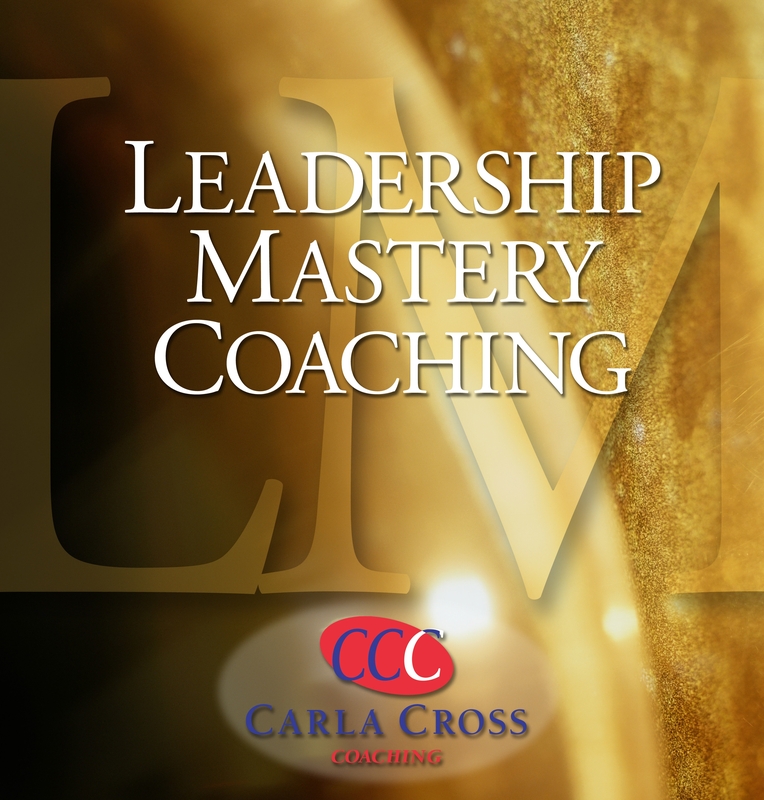 This is a unique, one-on-one coaching program expressly for real estate leadership. Sign up for a complimentary consultation today. Make 2016 the year you break through your ceiling of achievement!